Professional furniture cleaning in Northern VA, Montgomery County, & D.C. Dirt and grime always seem find their way onto our favorite pieces of furniture like a magnet. Stains come with everyday use, but that doesn’t mean they shouldn’t come off. Steven’s Chem-Dry highly-trained technicians specialize in renewing upholstery to its cleanest clean and brightest condition. Let Steven’s Chem-Dry give your furniture a brand new look and feel, like the day you bought it. 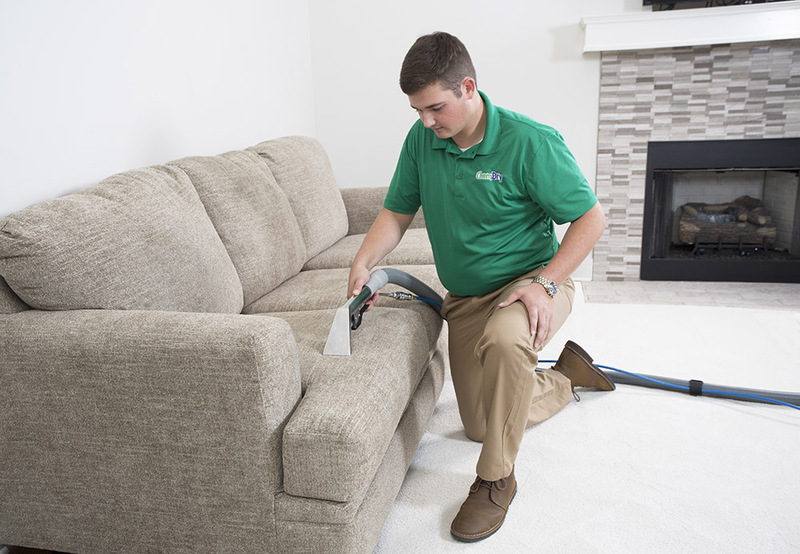 Our upholstery cleaning services are strong enough to clean the deepest stains, gentle enough not to damage furniture and safe for your entire family. Your Healthy Home Starts Here. Chem-Dry’s secret to healthy and effective upholstery cleaning is in the power of carbonation. Our carbonated cleaning solution, The Natural®, uses millions of tiny bubbles to release stains from the upholstery fibers. Then, with a hot water extraction process, we pull dirt and grime to the surface. Steven’s Chem-Dry certified upholstery cleaner will use our specialized extraction equipment to remove the cleaning solution along with all of the dirt, dust, and allergens it has trapped from the air in your home, leaving your furniture brighter, cleaner, and healthier than other alternative cleaning methods. Getting your upholstery cleaned helps to improve the air quality and make your home a safer and healthier place for you and your family. We Clean For Your Health Like No One Else.